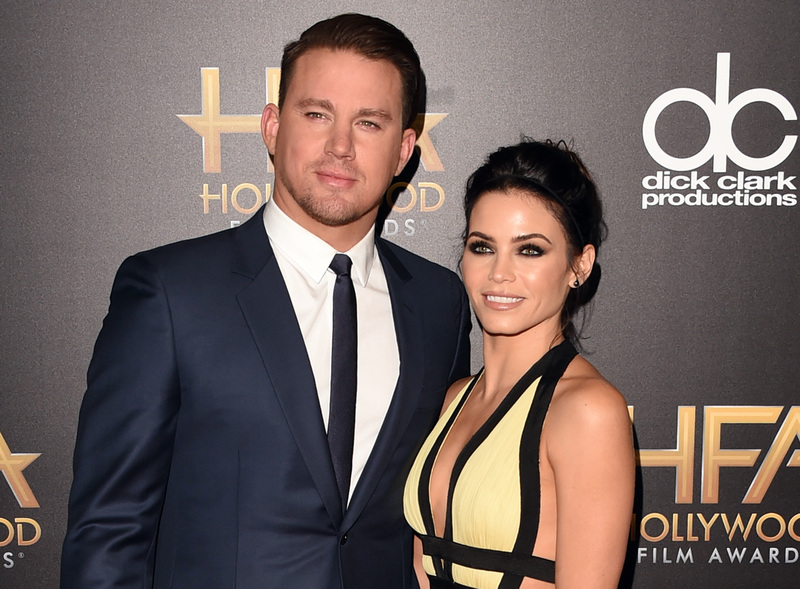 Channing Tatum and Jenna Dewan-Tatum are giving us some major Step Up flashbacks with their newest project. The couple, who met on the set of the 2006 dance flick Step Up, is teaming up for a new project that just seems amazing for them. The Tatums will work on a new dance competition show on NBC, and just try to contain your excitement when I tell you more. This power couple has been taking Hollywood by storm with their fancy footwork for the last decade, so it seems only fitting that they put their skills to good use on a new show. While the show doesn't yet have a name, the network has already ordered it up for six episodes. Dancing is in the Tatum blood apparently, so this show is a perfect career move for the couple. Dewan-Tatum got her start as a dancer, beginning with Janet Jackson's video for "Doesn't Really Matter." And, by now, most of the world knows the kinds of dancing Tatum started off doing, so this show is a natural progression. However, according to Entertainment Weekly , the program is being hailed as a "fresh take on the dance competition genre," which definitely ups the ante a little bit. This couple has done just about every form of dancing known to humankind, so it will be hard to place them in a predicament no one has seen before. Tatum dressed as Beyoncé alongside Beyoncé for a lip sync battle earlier this year, so this new show has got to top that. Considering the two have made their careers from dance battles, maybe the show will revolve around some sort of sudden death dance battle. Who wouldn't want to watch that go down on network television? No matter what the focus of the show is, I'm glad they decided to step up to the challenge.